A must-have furniture piece for any casual-styled living room. 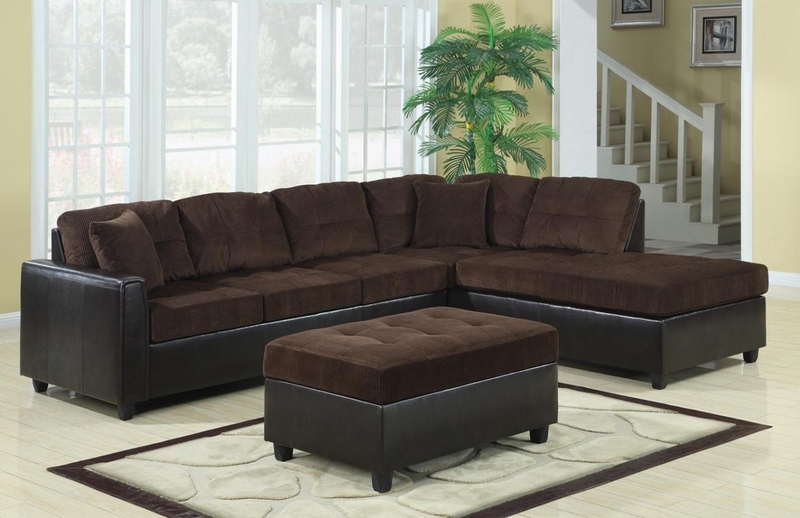 This two-tone sectional group displays a subtle and classy contrast with a soft textured chocolate corduroy on the seating area and a smooth black leather-like vinyl on the base. 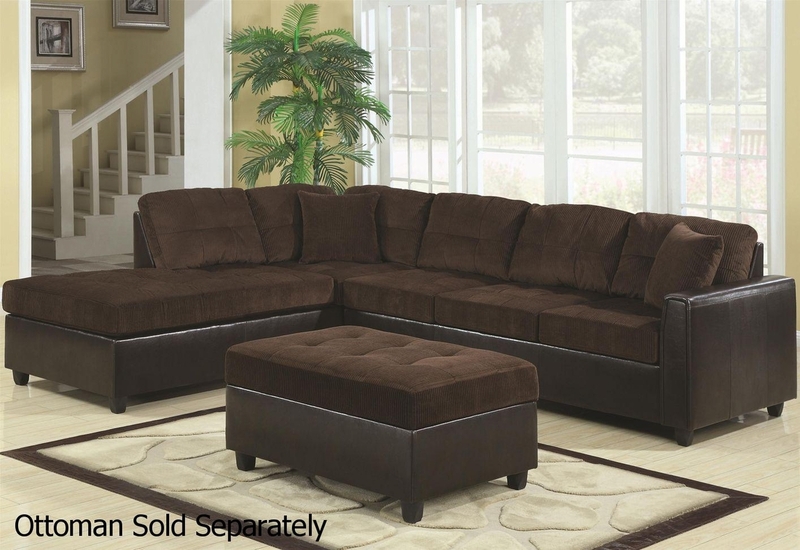 Also features coil spring and webbed back construction for durability, and two complementary accent pillows for added style and comfort. Pair this sectional with a matching storage ottoman.